Click the “Download Free” button. You will be taken to a Sign Up form. 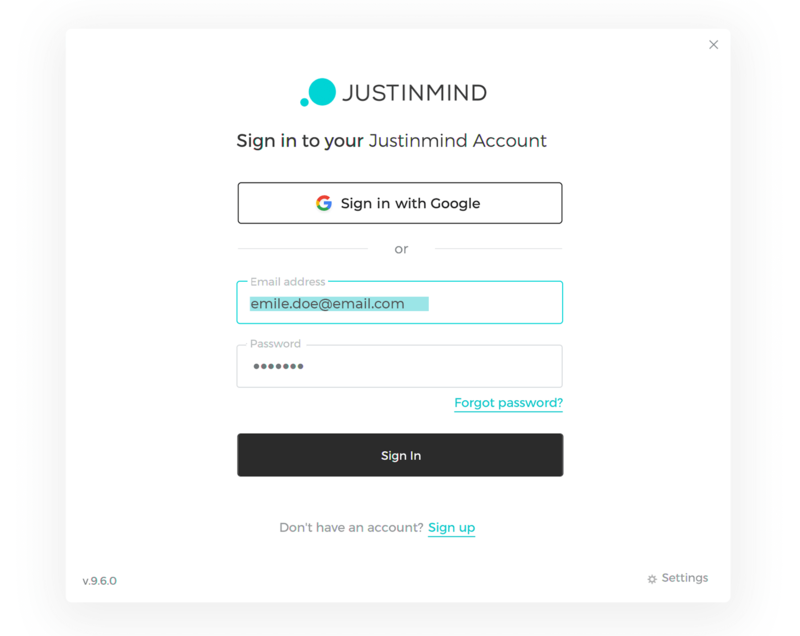 Enter the email address and password you want to associate with your Justinmind account. 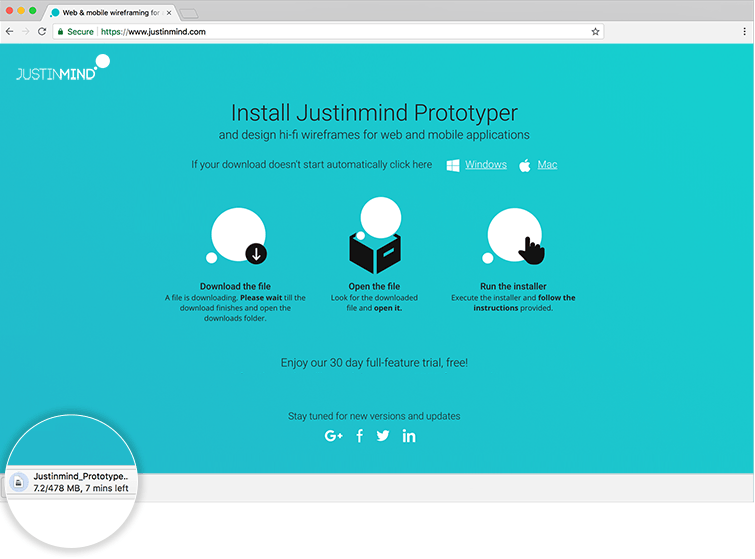 Click the “Download and install” button to download Justinmind and install it on your computer. 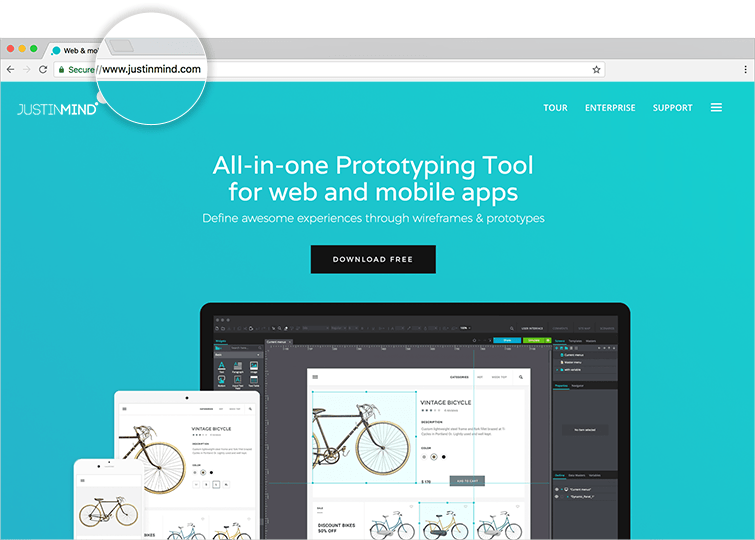 You will be taken to the page where you can download Justinmind. 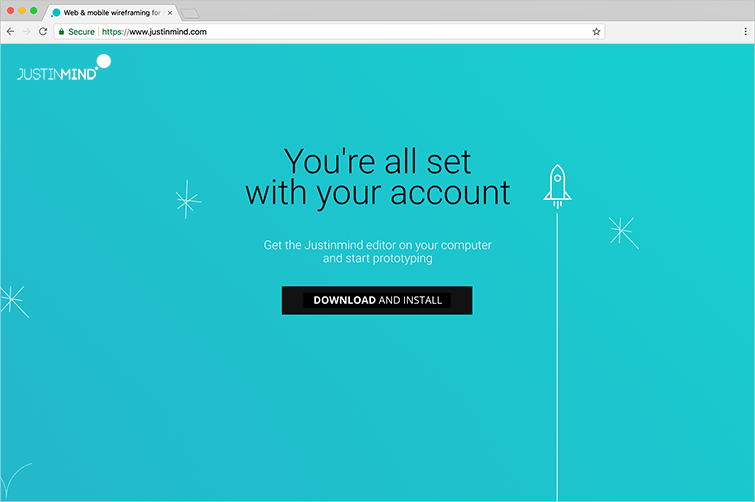 At the bottom of your browser window, click the “Justinmind_Prototyper” download once downloading is complete. Follow the instructions to install Justinmind on your computer. Once installation is complete, a dialog will appear and you will be prompted to sign in. 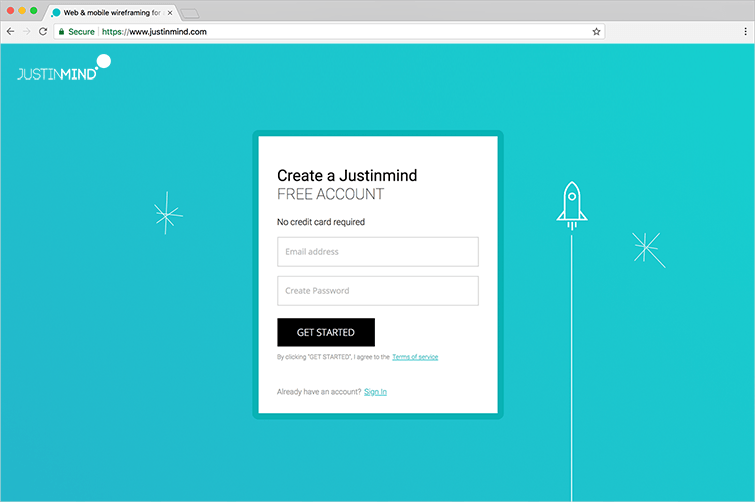 Enter the details you used to create your account (above), and click “Sign in” to be taken to the Justinmind editor. Note: if the sign in dialog doesn’t appear automatically, open Justinmind from the shortcut that appears on your desktop (for Windows) or from the Applications folder (for Mac).